I did this write-up because I couldn't find half of this info anywhere. So, here you go. Let’s start with the easiest modification, replacing your cluster’s stock bulbs with bright LEDs, of any color, to give your Civic a new look. Remove the bulbs circled in red. Remove the bulb circled in yellow and red and set it aside for now. You can install your new LEDs in the red circled locations now. The location circled in yellow and red is smaller than the rest. 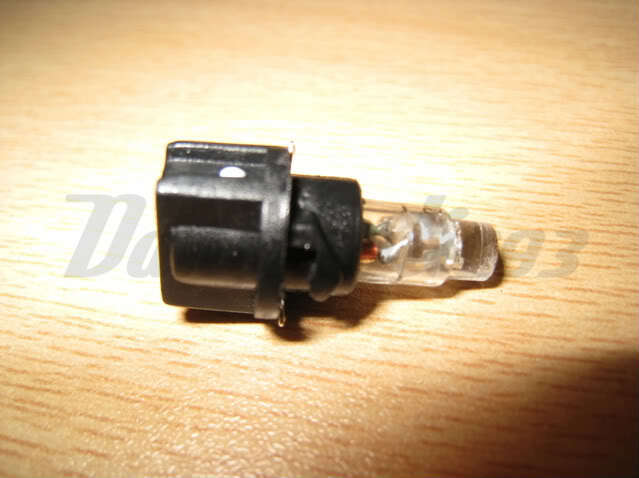 For this reason, you’ll need to reuse the stock bulb socket that you set aside previously. Pull the stock bulb out of its socket. Do the same with an LED. Now push the LED into the stock socket and install the LED. Here are the stock bulbs and sockets. The one on the Left is the small one. 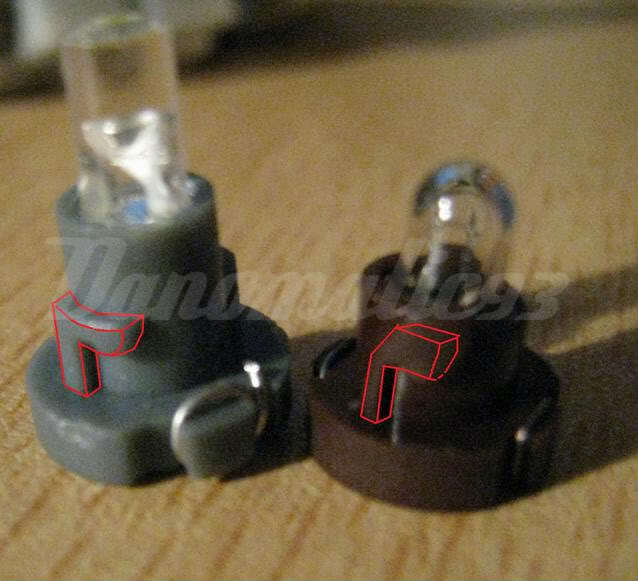 Here is the LED and socket. 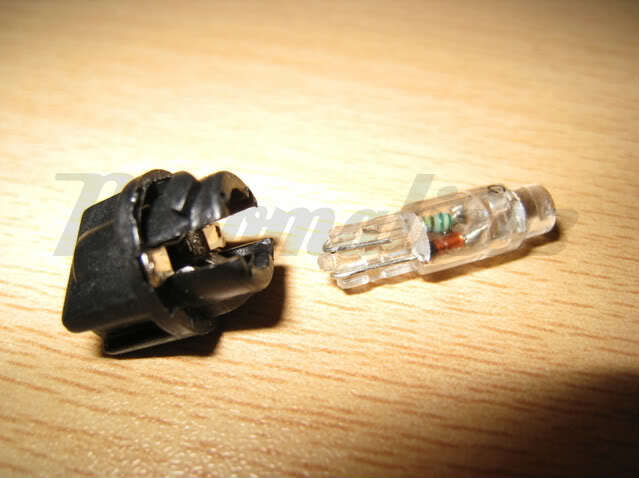 And second image is the LED removed from the socket. Now, these LEDs are polarized, meaning they only work in one direction. So, test that they are working. To test, plug the cluster back in, turn on the lights. 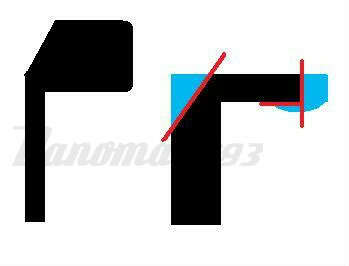 If an LED isn’t lit, remove it, turn it 180 degrees and reinsert. 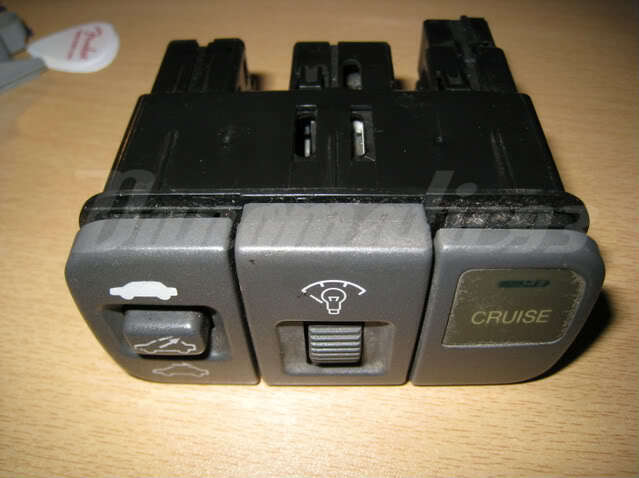 Now that your cluster is looking like a new Audi, your dash switches and Climate Controls are now looking faded and old. Let’s change that! 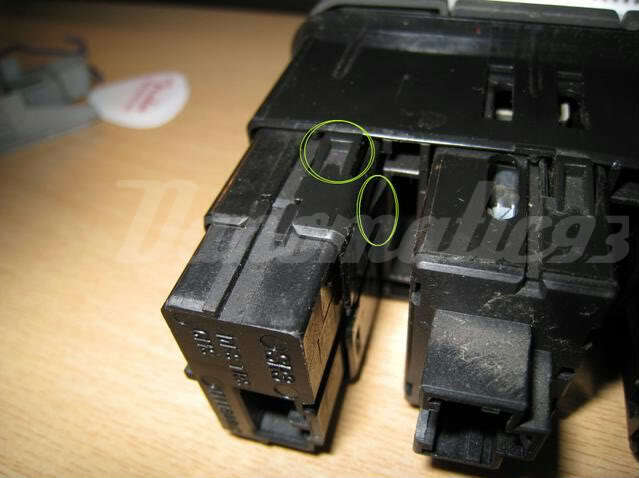 All the switches use 3mm Neo-Wedges. There are 6 total. The Climate control uses #74 LEDs. Remove the switch that you intend to replace the bulb with. 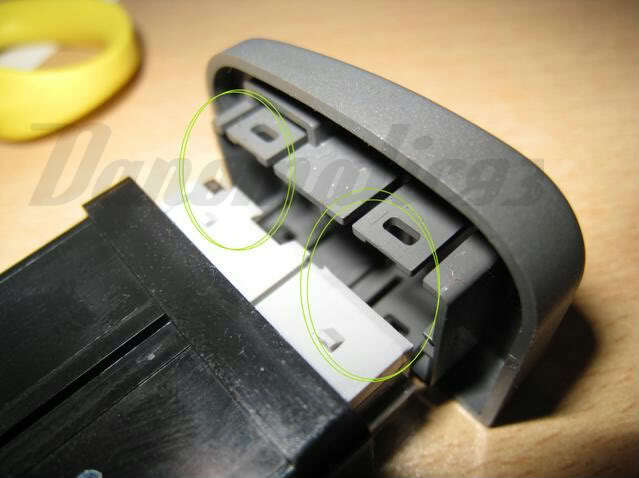 There are 4 tabs that hold each switch in the housing. (2 are circled in green). Push in the tabs and pull out the switch. Then you have an option. you can go further and open up the switch to easily remove the bulbs. To open the switch up, start by removing the back. There are 4 tabs (2 are circled in yellow) holding the back on. 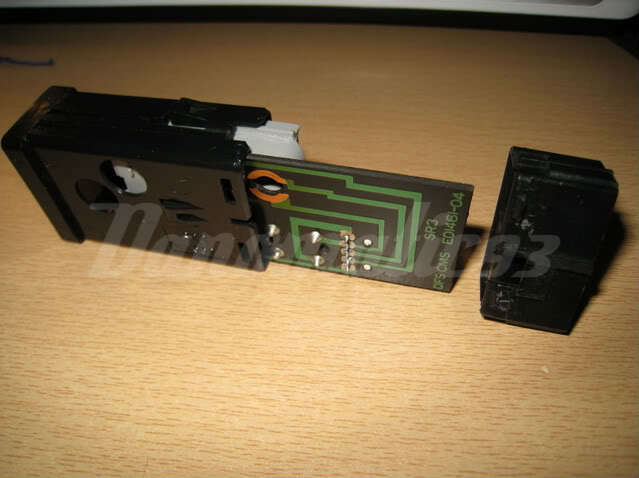 Then remove the face of the switch. There are again 4 tabs holding the face on (circled in green). 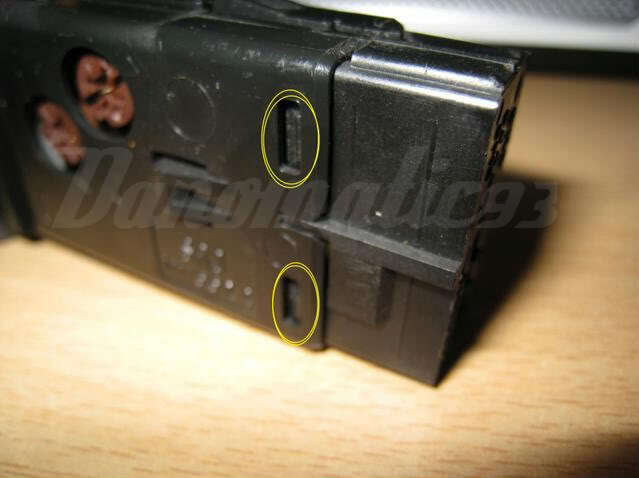 Now, the internals will slide out and you will be able to easily remove the bulbs. 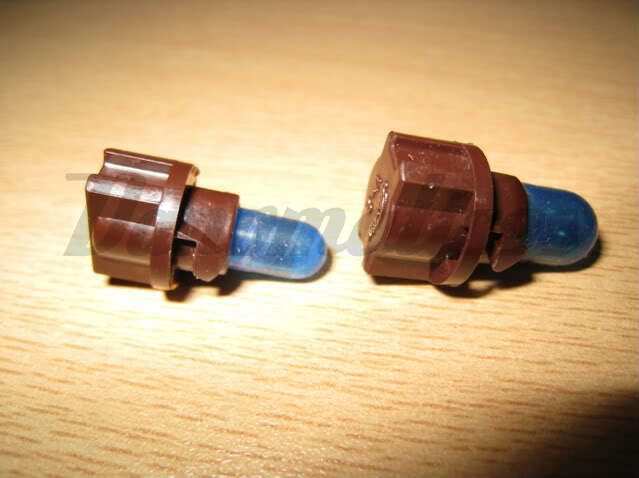 You will be using 6 Neo-Wedge LEDs sized 3mm. 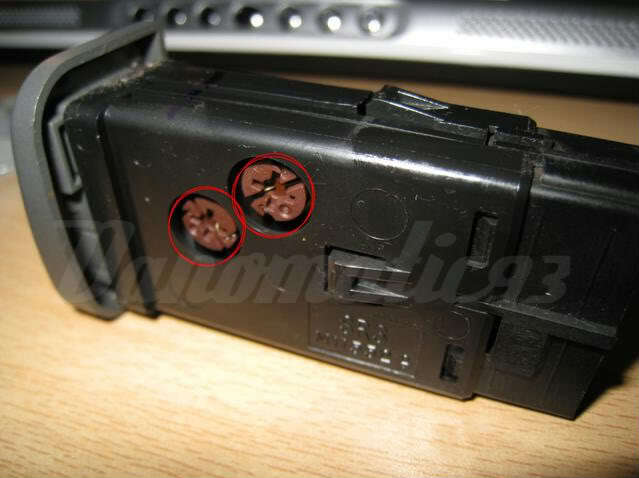 They will not fit into the socket without altering the lock tabs slightly. Use a razor blade to cut off 3 spots on the LED’s lock tabs. In this diagram, not the stock tab on the left and the LED’s tab on the right. Carefully, remove the blue sections with the razor blade. They should look like this now. Remember now, that these LEDs are polarized, meaning they only work one way. So, before you assemble the switches back together, test that the LEDs are installed correctly. 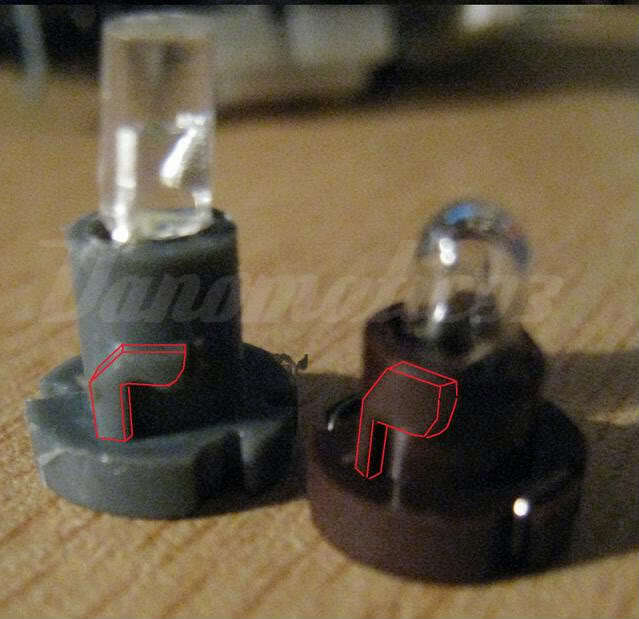 Once you get to the stock bulbs, simply remove them and replace with the #74 LEDs. I used Bright White for the cluster, climate controls, and switch function images. I used green and amber for the switch indicator lights. Obviously, you can do the whole amber thing, or whatever color(s) you want! where did you get those LEDs from?